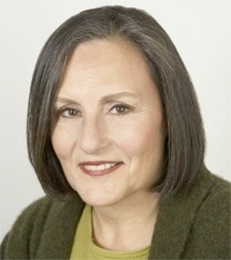 Diane Lennard is a Clinical Professor of Management Communication at New York University’s Stern School of Business. Since joining Stern in 2004, Professor Lennard has taught courses on team communication, business coaching, engaging audiences, and strategic communication to undergraduates, full-time and Langone MBA students, PhD students, and Executive MBA students. She has served as the Director of Langone Education for the Part-Time MBA Program and a faculty development consultant for Stern’s Center for Innovation in Teaching and Learning. She received the 2017 Distinguished Teaching Award in Recognition of Excellence in Teaching Innovation. Professor Lennard is the author of Coaching Models; a Cultural Perspective (Routledge, 2010) and Strategic Communication at Work: The Impact Paradigm (Routledge, 2018). She serves as a communication coach for business students, educators, administrators, executives, and other professionals who want to expand their communication skills and abilities for functioning in diverse work settings. She founded Lennard & Company, a firm that leads communication workshops for educational institutions and businesses in the United States, Japan and India. Professor Lennard brings years of experience as a performer/theatre director, business owner, and educator to her work in educational and corporate settings. She received her Ph.D. in Education and Performance Studies from Union Institute & University, her M.S. in Education from Bank Street College of Education, and her B.A. in Communication from Bard College. Professor Lennard is a member of Institute of Coaching Professional Association, Management Communication Association, Professional and Organizational Development Network in Higher Education, and Society for Intercultural Education, Training and Research.